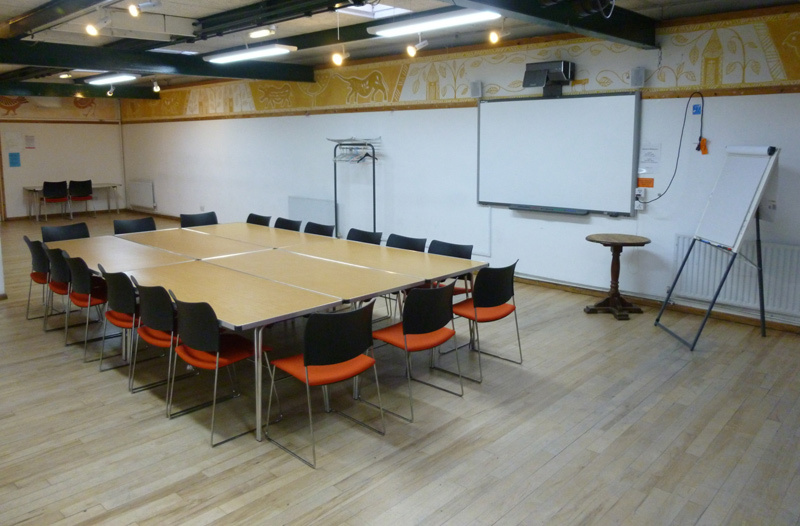 RISC offers four rooms for hire, to voluntary and community groups at subsidised rates. 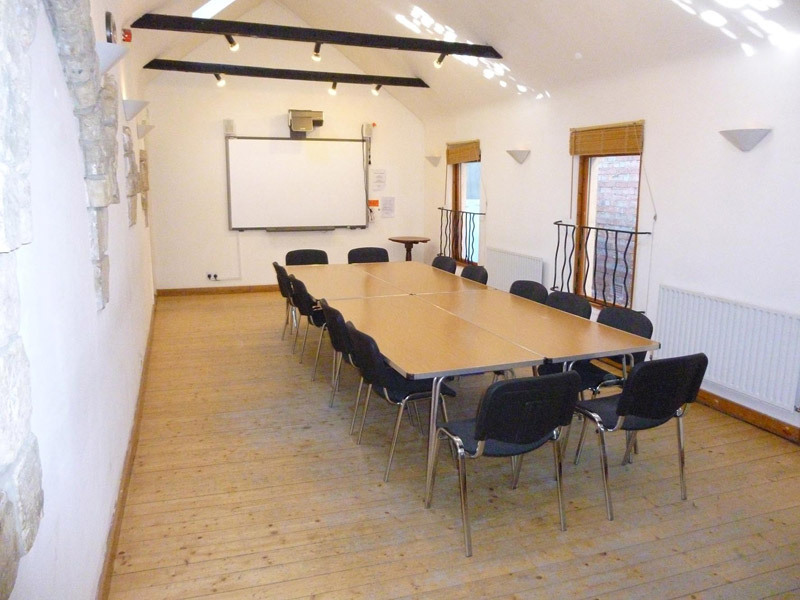 The rooms can also be hired at competitive rates by public bodies, private organisations and individuals, and are suitable for conferences, training, meetings and social functions for up to 175 people. Our Global Cafe is also available for private hire on Mondays. For assistance or advice on planning an event please contact one of our friendly team via our enquiries form or by calling 01189 586 692. A large, bright space with a sprung maple floor, spotlights. Ideal for conferences, training events and parties. 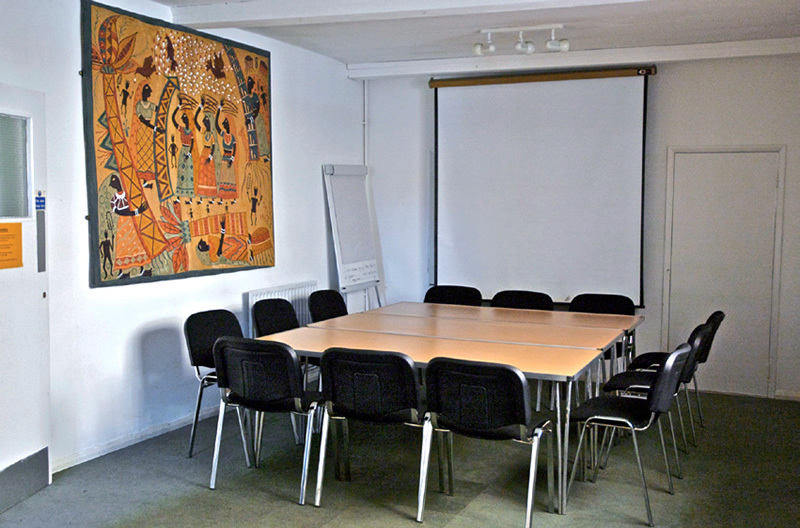 A carpeted room off the main foyer suitable for small meetings or as a breakout room in conjunction with the Conference Hall. Door access to Meeting Room 2. 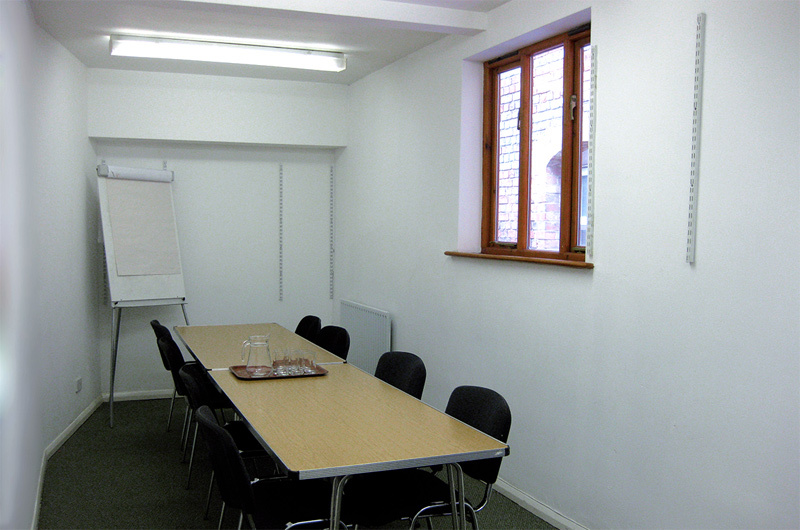 A carpeted room suitable for small meetings or as a breakout room. Door access to Meeting Room 1. A light and airy space with a stripped pine floor, featuring stone archways recycled from Reading Abbey hence, it has also come to be known as ‘The Stones Room’. It is suitable for meetings, training or as a breakout room. Door access to the Conference Hall. 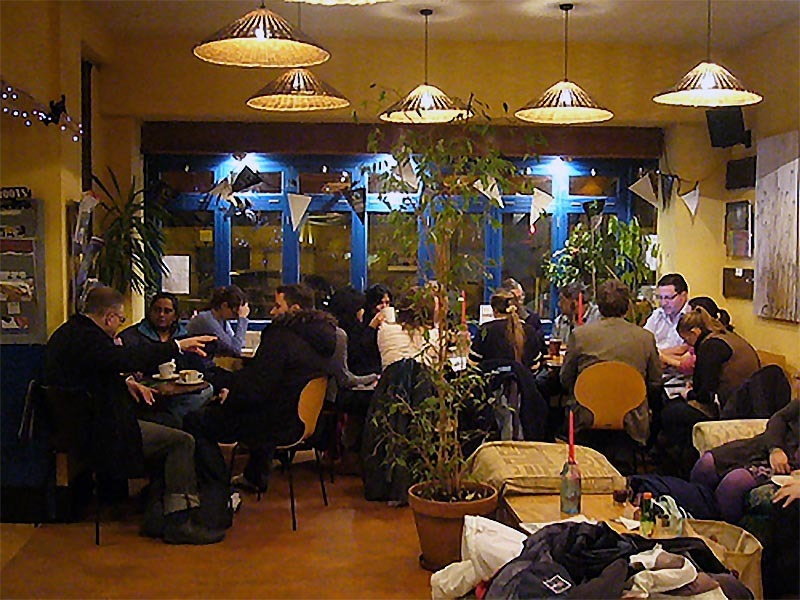 Our Global Cafe is available for private hire from 10am to 11pm on Mondays for social gatherings, AGMs, wakes etc. Bar staff are included and hot and cold drinks are available to buy. We can provide fairly traded tea, coffee, juice and biscuits for your meeting. Tutu’s Ethiopian Table can cater for your event with delicious food ranging from sandwiches to a hot Ethiopian buffet with meat, vegan and vegetarian options available. We aim to make our facilities accessible to all. All rooms are on ground floor level and are accessible to wheelchair users. The main entrance, Meeting Rooms One and Three and the Conference Hall have automated doors. There is a designated disabled parking bay at the rear of the building and a disabled toilet in the foyer. The conference hall has an induction loop installed, and we also have a portable induction loop for use in our smaller rooms, available on request subject to availability.